“Several years ago, my wife was diagnosed with cancer and we had to travel all over the city for treatments, so we began using the community’s assisted transportation service. I resisted the help at first, but it turned out to be a godsend. The drivers are polite and caring; they come to my door and help me in and out of the car. They accompany me to medical appointments and occasionally to the shopping centre, which allows me to get out of the house – important since my wife has passed and macular degeneration has left me legally blind. 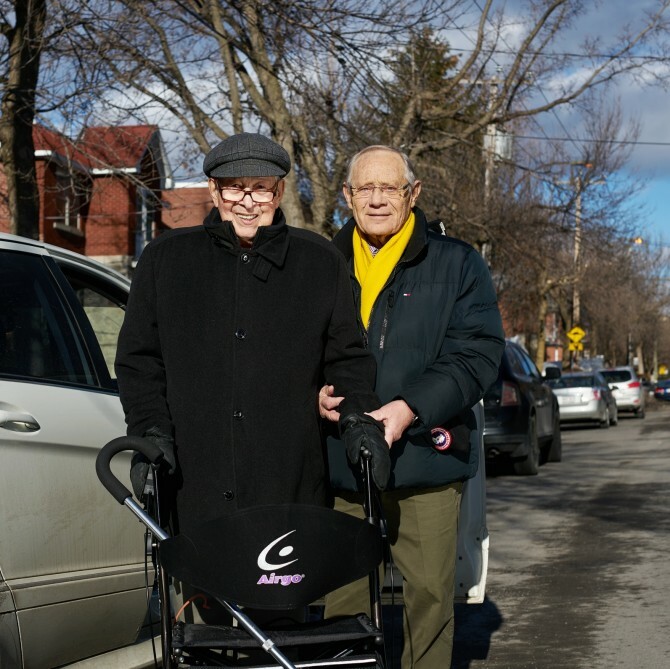 Last year, thanks to your generosity, 4,543 seniors living in Montreal benefited from services provided by Federation CJA funding, including psychosocial support, transportation, homecare, recreation, hospital visits, meals on wheels, and day services.